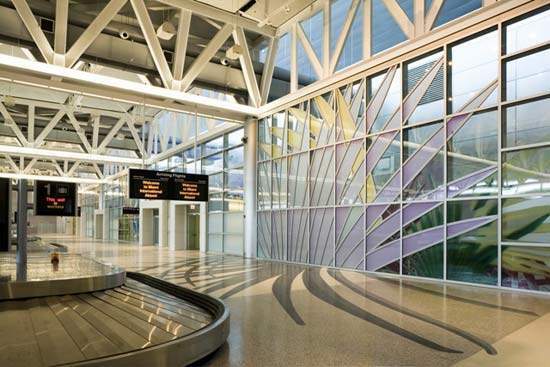 The new south terminal at Miami International airport has a floor area of 1.7 million square feet. Miami International Airport's baggage handling equipment is state-of-the-art. The South Terminal at Miami Intenational airport consists of concourses J and H, which have 28 gates between them. Contruction of Miami International Airport's south terminal was delayed for two years and cost &#36;1.1bn. 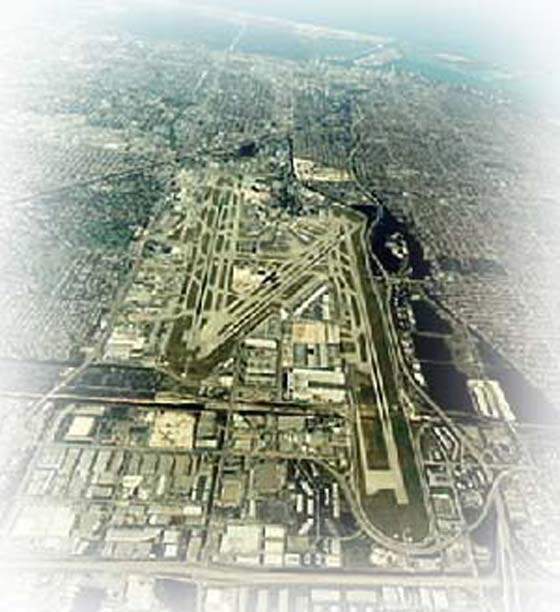 Miami International Airport (MIA) is in southern Florida and is in one of the most economically vibrant parts of the US. One of the side effects of strong economic growth is rapidly rising volumes of air traffic. With more take-offs and landings per runway than any other airport in the US, MIA is now exceeding its capacity during peak hours. Cargo shipments grew from 2.9mt to 4mt per annum between 1995 and 2005, and passengers from 40 million to 47 million. This forecast necessitates extensive expansion of the airport to cope with the anticipated rise in traffic. It is already the ninth-busiest airport in the world. The project is co-ordinated by the Miami Dade County Aviation Department (DCAD). DCAD is financially self-supporting, operating solely on airport-related funds derived from rental charges, landing fees and other internal revenues. 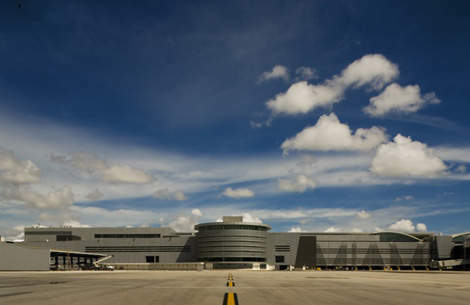 MIA’s expansion needs are detailed in the airport’s master plan, which was drawn up by DCAD over the course of four years. This amounted to a $5.4bn capital improvement programme. The expansion of the terminal and concourses adds 2.7 million square feet to the facility to give a total of 7.4 million square feet. Also expected are improvements to airside facilities, such as runways, taxiways and taxi lanes to make the most of the airports limited area. The airport also needs to support its additional cargo traffic by constructing new storage and handling facilities spanning more than 3.3 million square feet. Also planned are new roadways, passenger parking areas, airport access roads and an automated people mover (APM). Changes to the terminal area have included a new 47-gate linear concourse A-D terminal (north terminal development). 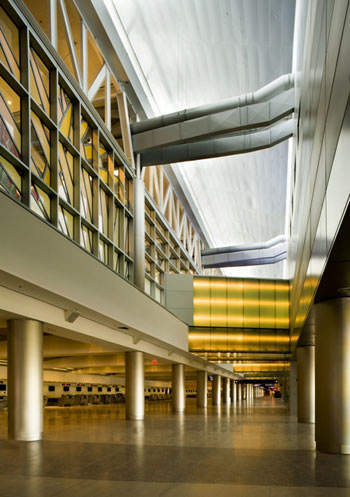 This was achieved by extending concourse D by 1,100ft, and removing concourses B and C. The expanded facility has also provided a 3,600-passengers-an-hour Federal Inspection Service (FIS) area, an extensive baggage handling system, airline ticket offices, counters, departure lounges, an immigration area, concessions and a new automated people mover system (MIA Mover). The project was completed on schedule in the first half of 2006. Expansion projects beyond the north terminal development have focused on improvements to areas between the D and H terminals and the expansion of the terminal area east of H with the development of the south terminal programme, including concourse J. These projects were completed in the latter half of 2006 and opened in phases during 2007. The project was delayed for two years and went 27% over budget. The five-storey, 1.7-million-square-foot building (costing $1.1bn and expecting 8.1 million passengers a year) was designed by the joint venture of Borrelli & Associates / Mateu Carreno Rizoin (Borrelli & Associates being the lead architects) and the general contractor was the joint venture of Parsons / Odebrecht. Other consultants contributing to the terminal include: Martinez Engineering Group / Desimone Consulting Engineers (Structural Engineering), TLC Engineering for Architecture (Mechanical & Electrical Engineering) and BNP Inc (Baggage Systems Consultants). The facility consists of two concourses – J (built in the shape of an aircraft wing) and H – which host 15 and 13 gates respectively. 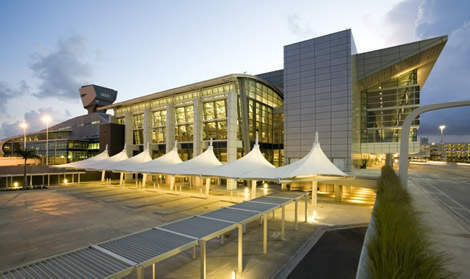 The terminal has a host of features for passengers such as 50,000ft² of concession space with 61 retail, duty free and food outlets (the concession area is circular with 110ft-high glass walls). There are also three security checkpoints a new baggage screening system and a new federal inspection station with 40 booths that can handle 2,000 passengers an hour (this combines passport control and baggage checks in one place). International arrivals and departures are handled on the third floor; while domestic services are supported on the first and second levels (the first floor has a 112-booth ticketing hall and also domestic passenger security services). Construction of a new closely spaced runway parallel to and north of 9L-27R (8,600ft long and 150ft wide) began at the beginning of 2000 at an estimated cost of $175m. DCAD submitted a request for partial funding of the runway programme to the FAA for consideration but the FAA have so far not decided whether they will contribute. The construction programme also included a new midfield holding area big enough to accommodate four Boeing 747-400s. The construction was completed by early 2007. Concourse A is being constructed in two phases. The first will add ten gates, the building itself and the apron area, at a cost of $111m. The second phase will cost approximately $87m. The new car rental facility will consist of a five-level structure. There will be ‘quick turn around’ washing and fuelling facilities on the ground level with at least 20 wash bays, 102 fuelling stations, around 2,000 stacking spaces for rental vehicles and break rooms. The MIA Mover is an elevated landside automated people mover (APM) system. It will provide a convenient and reliable means for transporting passengers to Miami Intermodal Center (MIC). Passengers will have access to the rental car facility and public transport. The MIA Mover system will be approximately 1.25 miles long.